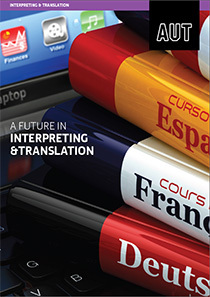 Want a career as an interpreter? In the Interpreting major you learn to recognise cross-cultural implications for interpreting, and the ethical and professional responsibilities of an interpreter. Interpreting is so much more than just repeating someone’s words in a different language. A good interpreter can understand nuances and cultural appropriateness, and convey levels of formality across a range of professions and industries. The challenge is to do justice to every situation. You practise interpreting consecutively and simultaneously between English and another language. You explore the effects of intonation and the use of idioms in spoken English. Throughout your studies you also become familiar with interpreting for legal, healthcare or business settings. These skills will serve you well in our increasingly multicultural local and global communities.